If you're a loyal follower of mine on Twitter (or, really, on this blog) then you know how much I love my blowouts. (That's me, above, after one at Drybar.) Now, it's not that I can't wash and dry my own hair. No, it's really that I just don't want to. I can never make it look as good as a professional can -- and, hey, why not have someone pamper me a bit whether I'm heading straight to work or off on a vacation? 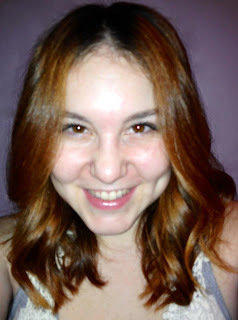 I've made quite the study of blowouts in NYC over the past couple years and I've got the good hair lowdown. Enter The Top 5 Best Blowouts in NYC. Blowouts at Drybar are $40, regardless of hair texture or length. When I heard that Rachel Zoe was opening a blowout bar in the city, I was pretty much first in line to check it out. And am I ever glad I did! The black and white space is super chic, the stylists are incredible, and the styles -- named after some of the most iconic women in Hollywood, from Sophia Loren to Brigitte Bardot -- leave you looking and feeling your absolute best. But, really, would you expect anything less from one of the most fashionable people EVER? Blowouts at DreamDry are $40, regardless of hair texture or length. Blowouts with braids are $50, while Express Styles (washing not included) are $30. Blowouts at Fix Beauty Bar are $40, regardless of hair texture or length. Manicures are $15 and pedicures are $35. Bundle all three services for $85. Blo is the newest blowdry bar to hit Manhattan, and all I have to say is, THANK GOODNESS. Not only is it right around the corner from my apartment (really, it takes 1.5 minutes to walk there), but they did such an excellent job on my last visit that my coworkers kept complimenting my hair for THREE DAYS. The names of the blowouts are fun, too -- think Holly Would (bouncy and curly) or Executive Sweet (sleek and straight). I visited the Boston location back in December and was just waiting with bated breath for a New York one to open! Thank the hair gods. Blowouts at Blo are $40, regardless of hair texture or length. 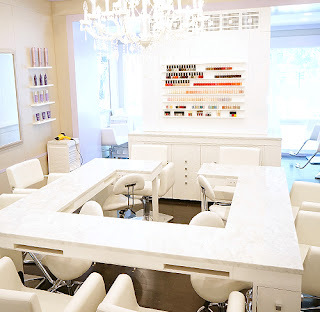 Blow was the first blowdry bar in NYC, and to this day, it's one of my favorites. The salon specializes in blowouts, but they also offer makeup application, waxing, haircuts, hair color and simultaneous manicures. Every treatment includes use of Blow's signature products and a mind-melting head massage -- and when you're done? Gorgeous, gleaming hair that garners compliments from everyone. And I mean everyone. Blowouts at Blow are $50, regardless of hair texture or length. Your blow-out looks terrific. The blow-out bars are just becoming popular in my area of Northern California.